A new study on the long term effects of consuming GMO (genetically modified organisms) study was recently published in the journal Food and Chemical Toxicology and backed by CRIIGEN, the Committee for Research and Independent Information on Genetic Engineering - and the results are not good. The study on GMO's negative health effects is creating grave concern among consumers and governments alike. In the GMO study, rats were fed a diet of Roundup tolerant genetically modified corn, cultivated with or without Roundup, and Roundup alone for two years. All treated groups died 2-3 times more than controls and more rapidly. Compared to 20 percent in the control group, the study found that 50 percent of males and 70 percent of females died prematurely. Critics of the newest GMO Health study say it is flawed because the breed of rats used is known for having tumors, the statistical analysis was flawed and the control group was far too small. 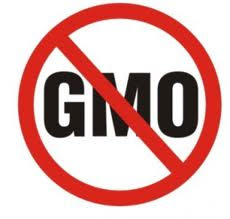 My hope is that other scientists who have studied the health effects of GMO's will engage in a scientific debate that will give consumers even more confidence in their understanding of this study that GMO's should be avoided. Distinguished professor of molecular, cell and developmental biology at UCLA and a member of the National Academy of Sciences, Bob Goldberg, called the study "bogus." The French Government ordered a review and asked European officials "to take all necessary measures to protect human and animal health, measures that could go as far as an emergency suspension of imports" of genetically engineered corn.